I’ve been using Sql 2008 fairly regularly lately with a couple of projects. I realize there are far bigger features with this release, but Intellisense is great! I love my Intellisense with Visual Studio, and now having it with Sql Server is nice. I’m in the process of creating a new database, and therefore adding several tables and populating them with data. It was frustrating to add a table, but it not appear with Intellisense when writing an insert statement. Those red squiggly lines always jump out, and I think I’ve misspelled the table name yet the statement is correct. Personally I am a fan of the second method, the more I can do without my mouse the faster I can go. But either works fine. Now, back to my database! I have used several image editing applications over the years. My favorite has been Paint Shop Pro, and more recently Paint.NET. I haven’t done anything overly exotic in the past, and in fact I still have Paint Shop Pro version 7 (from when it was developed by Jasc). Paint.NET is a completely free photo editing application, and is very impressive. However, I am currently involved with a new opportunity and found myself diving headfirst into the power that is Adobe Photoshop. To use any of the above while in text mode, simply hold down the Alt key, type the 4-digit code using your keypad and then release the Alt key. 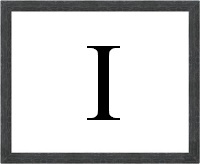 The character will appear and behave just like regular text. Do you have a symbol you can’t find? Leave a comment and I’ll see if I can find it! One of my favorite online utilities is Google Maps. They were one of the first to implement dynamic scrolling for maps (with the click-and-drag), and very nice piece of DHTML. I enjoy smooth, feature rich browser interfaces, and theirs is a great one. Their team created (yet again) a product that leads the market. Prior to Google Maps, the best option was probably MapQuest. They were ok, but became too commercialized…always suggesting a hotel, gas station or eatery along your route. While that information may have been helpful, it cluttered up the screen and was a pain to work with. Their scrolling consisted of clicking the edge of the screen to move the viewport, which was terribly inconvenient. We bought a new house in a rural area just over a year ago, so I often map addresses I don’t recognize using Google Maps just to see how far away they are. Yes, it’s a geeky thing to do, but I think it’s fun. Because of that, my home address is my default location and always appears when I land on Google Maps. Much to my surprise, I disappeared in early November! My address was there in late October, but suddenly Google Maps couldn’t find me! I searched for a few other streets in my neighborhood, and finally found a couple. I panned around and found my street, but it was not labeled. Then I checked Street View (another scary-but-cool feature of Google Maps) and found that data was still current. So Google had Street View but no GIS data for my location. A rather odd combination, since the converse seems more logical. Who to ask in a situation like this? None other than Google (the search engine, of course!). After some research, it seems that Google has begun updating their map information to also include parcel data. I couldn’t find much regarding their data source(s), but I did find an interesting blog post about it. After panning around my subdivision, I did notice parcel lines but I cannot remember if they were there before. I don’t think they were, which would make sense, but I just never noticed. So what do do? I love Google Maps and don’t want to use another provider, so I poked around and found this Google Maps help article on how to Report a Problem. I followed the steps hoping for a resolution of some kind. I am happy to report that, as of today, my street is back online! My exact address isn’t pinpointed, but Google Maps drops a push pin on my street with a note stating that “Placement on map is approximate.” Hey, I’ll take it! It has been about 3 weeks since I reported the issue and, given the volume of reports Google is likely dealing with after this update, that’s not bad at all. I received a confirmation email from them after my submission, but have not heard anything from them since. Thanks to Google, I can finally find my way around again! I tried to view a recorded webinar recently, but was unable to view it. I was using my favorite browser, Google Chrome, and realized that the Windows Media Player plug-in was launching but the video was not playing. My next step is always to try the site in Internet Explorer, since there are still websites that haven’t found the decency to create cross-browser content. A codec is required to play this file. To determine if this codec is available to download from the web, click Web Help. I was not very optimistic, but clicked the Web Help button anyway. The information was somewhat helpful, informing me that I needed the G2M3 codec. At least I had a name! The link to WMPlugins.com was of no help, and using their site search returned no results. I followed the link, installed the codec and presto! I could now playback my media source! It would have been nice if Windows Media Player would have downloaded the necessary codec automatically, but at least the help file referenced the name of the correct codec. And as always, it’s Google to the rescue. What did we ever do before Google? I had a good friend ask me the difference between a Netbook and a Laptop. Her son is wanting a laptop for school (he is in 5th grade) and she had seen several articles about netbooks. Sometimes called a UMPC (Ultra Mobile Personal Computer). Screen Size – Netbooks typically have a screen less than 10-inches diagonally. 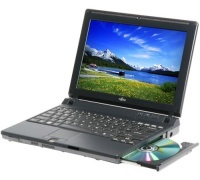 Optical Drive – Netbooks lack an optical drive, so no playing CD’s or DVD’s without an external drive. Graphics – No 3-D graphics card here, just a modest video player capable of playback and video sharing. Peripherals – Netbooks have USB ports, and several have built-in webcams. USB opens the world of peripherals…it allows you to connect a CD / DVD drive for installing software or burning files, printing and just about anything else imaginable. Power – Battery life is typically longer than a laptop, partly due to the smaller screen size. Some netbooks have an SSD (solid state drive) instead of an HDD (hard disk drive), which greatly reduces power consumption and moving parts. You can reasonably expect 3 – 5 hours, some advertise in the 10 hour range. Storage – Most netbooks come with a modest size drive, around 160GB. Network – Netbooks have support for wireless networking (B and G) as well as Bluetooth. Processor – Netbooks have a slower processor than most current laptops. This is by design…they aren’t meant to play the latest 3-D games. This also contributes to longer battery life. Operating System – Netbooks (with a very rare exception) run Windows XP. Some netbooks don’t even meet the minimum requirements for Vista, and those that do would surely choke while trying to run even the most basic version of Vista. Did you ever try to run Vista on your old Windows XP machine? Exactly. 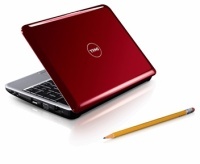 General Use – Netbooks are designed for people on the go that don’t want to carry all the extra baggage of a laptop. They’re great for reading email, using Office programs and surfing the Internet. Screen Size – Laptops have a larger screen, several have 17 -inch widescreen displays. There are even a few with 20-inch displays…which is huge for a laptop! Optical Drive – Laptops typically have an optical drive. Most have a DVD reader / writer, which can also read and write CDs. Peripherals – Laptops have at least a handful of USB ports, some can be configured with a plethora of connections. USB, FireWire, PCMCIA and even a serial port may be available. Some include built-in media readers as well. Graphics – Graphics capacity varies with the laptop, but you can buy a pretty mean video card for your laptop these days. There are gaming groups that exclusively use laptops. Power – Battery life greatly depends on your screen size, graphics card and usage patterns, but expect 1 1/2 to 3 hours. Storage – Laptops can be configured with nice, large drives. I have a 500GB drive in mine and it’s plenty. Network – Laptops have support for both wired and wireless networking (B and G), and many support Bluetooth. Processor – There are many processor options, and with recent advances in processor technology you can really get a lot of bang for your buck. Faster is always better, provided it doesn’t break the bank. Operating System – Laptops are sold with Vista, although that will change now that Windows 7 is available. Windows 7 offers improvements for laptops, the increased battery life is particularly enticing. General Use – Laptops are designed for mobile people that need the power and flexibility of a mobile PC. While not always compact, they do offer more power and flexibility than netbooks. In the end it really comes down to what your usage patterns will be and how much you want to spend. Netbooks are great for young students, people always on the go or as an “emergency” connection to the Internet. Laptops are great for those that need a more powerful platform, access to the latest operating systems and applications and don’t mind the increased size and decreased battery life. A netbook works great for checking email while traveling or as a presentation device. A laptop works great for someone who wants to take the office with them. Which did you decide to purchase? Are you happy with it? I do a substantial amount of development with a Comet application, and utilize iframes for communication. Most web developers hear “frames” and their eyes immediately glaze over and they just look at you as if you’re nuts. “No, not FRAMES…IFRAMES!” Iframes are used more than you realize, and, when used correctly, can be very beneficial to the user experience. When using iframes, you have to be aware of their security model. Any modern browser prevents iframes from interacting with each other unless they are from the same domain. This is in place for obvious reasons, I wouldn’t want an advertising banner hosted in an iframe to access the parent page’s DOM or cookies. That single line, added to both the parent and iframe source page, will allow them to interact without restriction. Use at your own risk, always be aware of what is happening when your frames are interacting and avoid confusing the user. Thanks and kudos to Nicholas for the great and in-depth article, he addressed cross-browser compatibility and gave a very complete (and workable) solution! I received a notice today that my Outlook mailbox was almost full. I send and receive a lot of email, but I was still amazed that my mailbox was THAT large! This article shows you how to search for large attachments within your mailbox, you probably have more than you realize. I was able to delete most of my large attachments, I didn’t really need to keep them. A few were still important, so I saved the attachment to a secure spot and forwarded the email back to myself (without the attachment, of course!) with a note reminding me where I saved the attachment. I have used the built in “Photos” screensaver with Vista for quite some time, and enjoy returning to my desk to see pictures from a recent family trip or other fun event. However, my monitor was never powering off. I could lock my laptop and walk away for hours, and neither the laptop screen nor the attached monitor would ever go to sleep. It seems that there is a bug in the Photos screensaver where, since it is capable of playing videos, an audio component is loaded which causes the monitor to remain on. Even though no audio is ever played during the Photos screen saver, the component is still loaded. Unfortunately there is no fix for it, other than to choose another screen saver. I miss my photos, but it gave me an excuse to pick up a nice digital photo frame…so I can still see my pictures whenever I want!